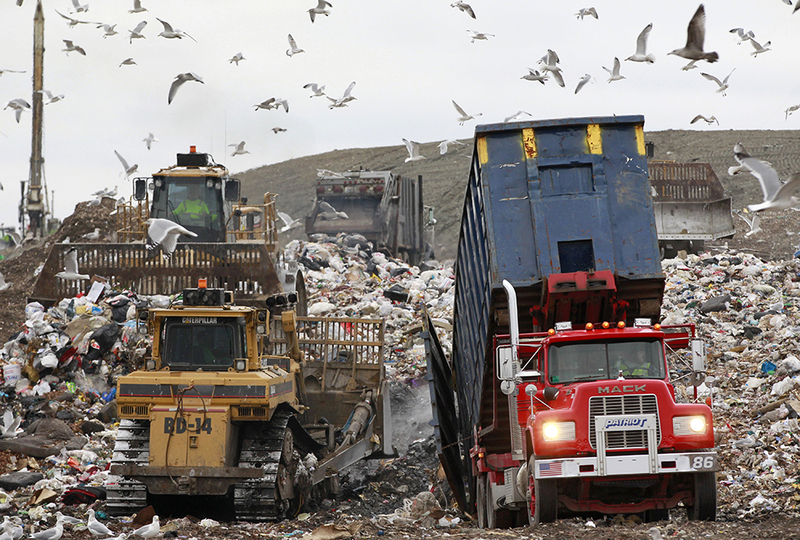 Less may be more, but zero is the best of all—at least where adding to landfills is concerned. So a growing number of households are joining the Zero Waste movement. Their goal is producing no trash at all. Some Zero Wasters come close. They winnow their household waste down to a tiny collection of non-recyclable and non-compostable items. Some households produce so little that a year’s trash can fit into a shoebox. Jesus said in Luke 12:15 that “one’s life does not consist in the abundance of his possessions.” Zero Wasters take this to heart. They focus on living simply. Fewer products mean less packaging and fewer disposables for the trash bin. They share tips on where to buy unpackaged goods and how to recycle items that many people choose to toss. “It may be too extreme for a lot of people,” says author Bea Johnson. She wrote Zero Waste Home: The Ultimate Guide to Simplifying Your Life by Reducing Your Waste. But “if you can cut your trash down by even 20 percent, you’ll gain 80 percent of the benefits. It’s about a simpler life based on being, not having,” she says. Johnson says that shopping less means her family can afford adventures like scuba diving trips. That makes it easier for her sons to accept wearing only used clothing. The family members often buy those clothes online. They request that purchases be sent without any non-recyclable packaging. Lauren Singer of Brooklyn, New York, was inspired by Johnson’s book. 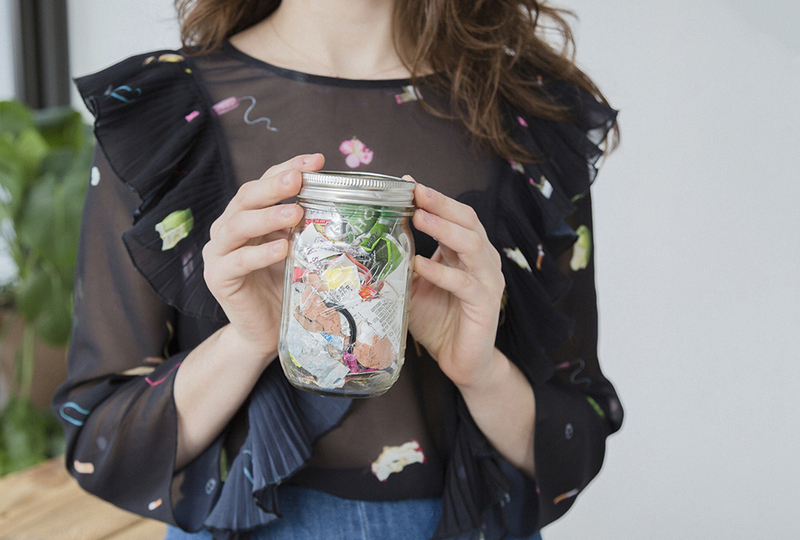 She started her own blog, Trash Is for Tossers, offering tips for how to reduce waste. She opened an online store, Package Free Shop, featuring only products that need not end up in the trash. All can be delivered with minimal—and fully recyclable—packaging. 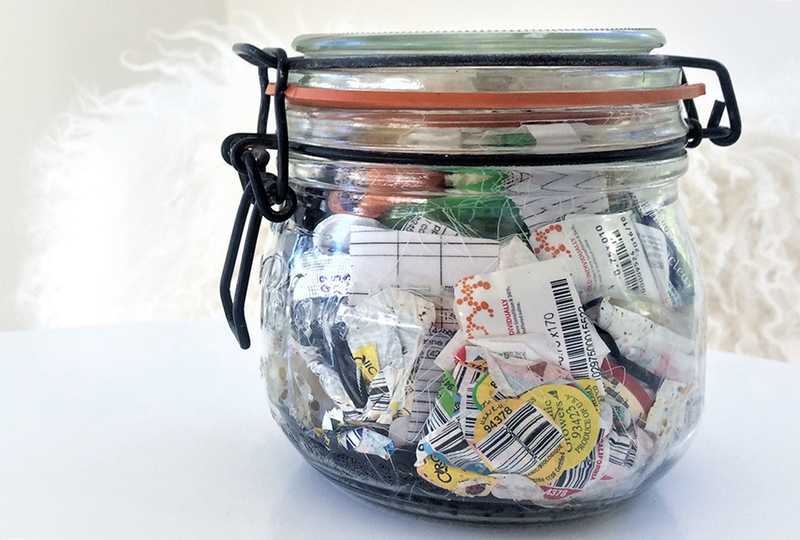 Singer claims she’s able to fit six years of trash into a single Mason jar! “I realized that I can make a huge difference even as one individual,” she says. The mantra of Zero Wasters is Refuse, Reduce, Reuse, Recycle, and Rot. They refuse disposable containers and straws at restaurants. They have a reputation of requesting paper or glass containers for takeout. 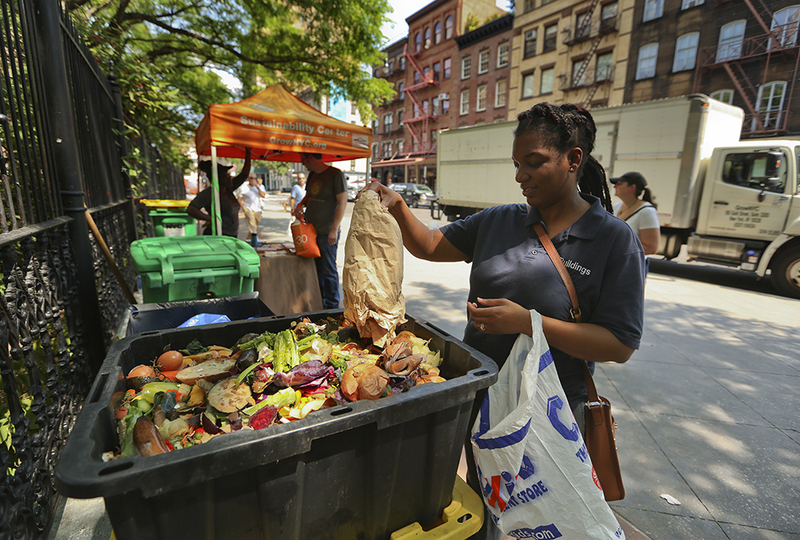 They dispose of leftover food separately from other trash to ensure it has the natural ability to rot and return to the Earth. that's really impressive. by the way Nadia that is not the way you spell weird. sorry if i seemed bossy. That would be hard to do. You would also have to live in a place where non waste food products were available. Asking for thing like glass or paper take out boxes might be a lot of trouble for the restaurant to do. Sarah K is right what are you supposed to eat anyway??? I never would be able to fit all my garbage into a jar. Natalie you weren’t that bossy. This is quite a moving article, but it seems like it would be really hard to do! That is so cool. I wish that all Americans wasted so little, but it'd be a TON of work. Imagine, an average person generates 4.6 pounds of trash per day. 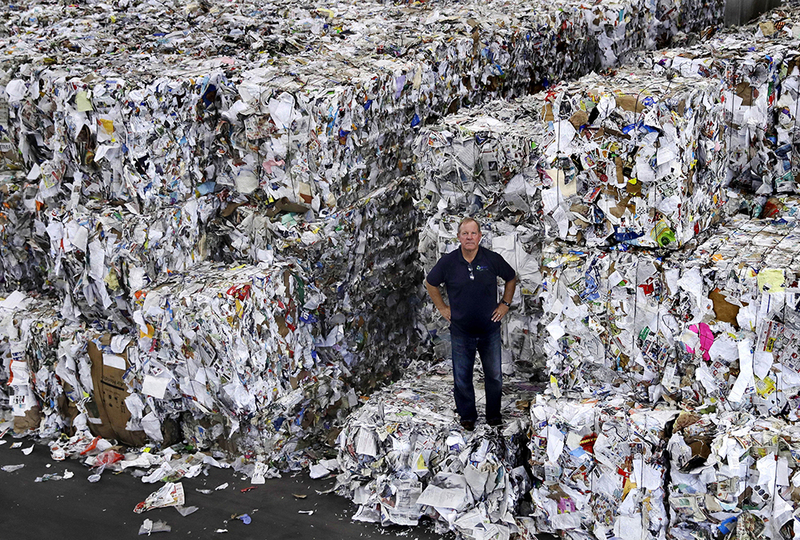 Less than one-quarter of it is recycled; the rest is incinerated or buried in landfills. There are about 326,766,748 living in the US. That means that each day 1,503,127,040.8 pounds of trash is generated just in the US!!! Something needs to change here. I like your idea, Anna, America could just burn trash, but if we burned trash then it could pollute the air we breathe. Wow! Imagine all of your trash for a year fitting in a mason jar, that's crazy! We burn our cardboard in our garden.This is clara's brother speaking. that was a lot of waste. What do you do with candy wrappers? You can't burn them to put in your garden, and you can't recycle them, so I guess they are trash. But only about fifty candy wrappers would fit in a jar of that size, and most people eat more than fifty pieces of candy a year! I wonder if Zero Wasters give up candy for this reason. YOU ARE RIGHT SAMMUL H.
it would make sense to give candy up so they have less tash. She said "We aren't crazy hippies", That sounds like something a crazy hippie would say. already this article has 20 comments. can we hit 25? For a similar article on Zero-Waste, inspired by this article, please visit: https://pointstopondercv.wixsite.com/website/home-1 This article will be uploaded shortly but until then there are multiple other interesting topics to read about at this site. I'll contribute to that 25, Older K. I can't believe that someone could fit a year's trash into a mason jar! I mean, wouldn't that be kinda gross?! My family fills up like 2 bags of trash a WEEK!!! (Of course, there's 6 kids, but one of them doesn't count because she's 11 mos.) And you're right, Anthony M., "We aren't crazy hippies" is definitely something a crazy hippie would say. Have any of ya'll gone to the website? Its cool that these people want to make less trash, but they do some crazy stuff! See for yourself. I would love to do that but it would be really hard. Wow. This is kinda cool, but probably too extreme for a lot of people (including me! ), because that takes a LOT of work. Thats really cool! I mean 6 years of trash can fit in mason jar? Wow! I think its great that people are finding ways to reduce trash to one mason jar a year! where could i get one of those books?